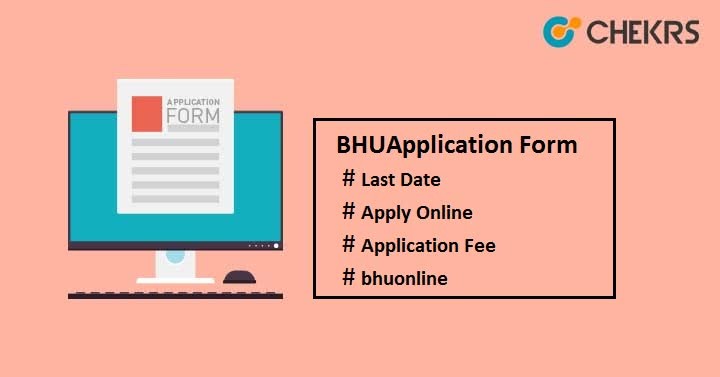 BHU Application Form 2019: Banaras Hindu University (BHU) offers admission to various courses such as B.Com (Hons. )/ BSc (Hons.) Maths / BA (Hons. )/ MBA/ MBA IB /LLB/ LLM/ MCA/ MSc/ MCom/ MA. Candidates seeking admission to this university can apply for BHU Admission 2019. BHU conducts entrance exam to provide admission to various UG & PG programmes like UET (Under-graduate Entrance Test) & PET (Post-graduate Entrance Test). Note: MBA Admission will be done on the basis of CAT Score. Here we have provided the complete detail related to BHU Registration Form, last date, exam date, eligibility, application fees etc. BHU has released the notification for MBA admission. Candidates can apply for MBA Admission Form through online mode. The form is available on the official site only. Check the tentative schedule for both entrance exams so that you do not miss out the opportunity to get admission in BHU. Check the listed below Eligibility Criteria for all courses offered by the University. Should pass class 12th from related stream with minimum 50% marks from any central or state board. Must pass an intermediate level examination in science stream with at least 50% marks in aggregate. Age should not be less than 16 years as well as not more than 25 years as on 1st July 2019. Candidates should have passed graduate degree (10+2+3) in any stream from any recognized university or institutes. Minimum required aggregate will be 50%. Age must be not more than 30year at the time of admission. Candidates who born on or after 1 July 1999 can apply for BA LLB in BHU. Must obtain minimum 50% aggregate in class 12 or equivalent examination. Candidates who are going to appear in senior secondary school are eligible for this course. Should have graduation degree in any stream with at least 50% aggregate. Aspirants appearing in the final year of graduation level can also apply. Must fulfill the minimum eligibility requirements of CAT exam. Should have passed bachelor’s degree from any recognized university or with a minimum of 50% aggregate with Mathematics as one of the mandatory subjects either in Intermediate or Graduation level. Must have graduation degree with at least 50% aggregate. Should have completed graduation in Engineering, Medicine and Pharmacy with at least 50% marks. Must have degree of 3 years/ 5 years LLB course with at least 50 aggregate marks recognized by Bar Council of India. Offline: Through Challan at any branch of HDFC bank. Follow the step by step procedure to fill the BHU application form. Search for “Click Here to Apply” link and click over it. Click on “Register Yourself” present at the right-hand side of the page. Enter the required details such as name, date of birth, email id, mobile no etc and then click on “Sign up” button. Log in to the account with your login credentials. Enter the name as mentioned in Aadhaar Card, fill other details, enter the security code and then submit it. After submitting the authentication form, you will proceed for the next step i.e. Status of Submitted Application(s). Select the course type & Course name, check eligibility. If you want to add more course then click on “Add Course”. Proceeding to the next level, you will see various sections at the left panel of the page like Applicants Details, Upload Photo & Signature, Test Center Preferences and many. Click on each section one by one, fill the details and then click on “Save & Continue”. After filling all the sections, tick to “I Agree” message and click on “Confirm & Submit” button for final submission of application form. Next click on “Proceed for submission and payments” to go to the payment page. Candidates will redirect to the payment page. Select the option “Continue for Online Payment” or “Cash Payment through HDFC bank challan” as per your convenient. On clicking on “Continue for Online Payment” you will redirect to online payment page, see the amount, select type, enter card details and click on “Pay Now & Submit Application”. Or clicking on “Cash Payment through HDFC bank challan”, you will generate bank challan. Go to your nearest HDFC bank and submit the bank challan with the cash. Candidates can also check their form status. Go to the “Application Status” to check the status of BHU application form (Successful submission of form/ Rejected). Take the print of filled-up application form for future use. For any sort of queries, comment in the comment section below. We will reply you soon. Keep visiting this site to know the latest trends.